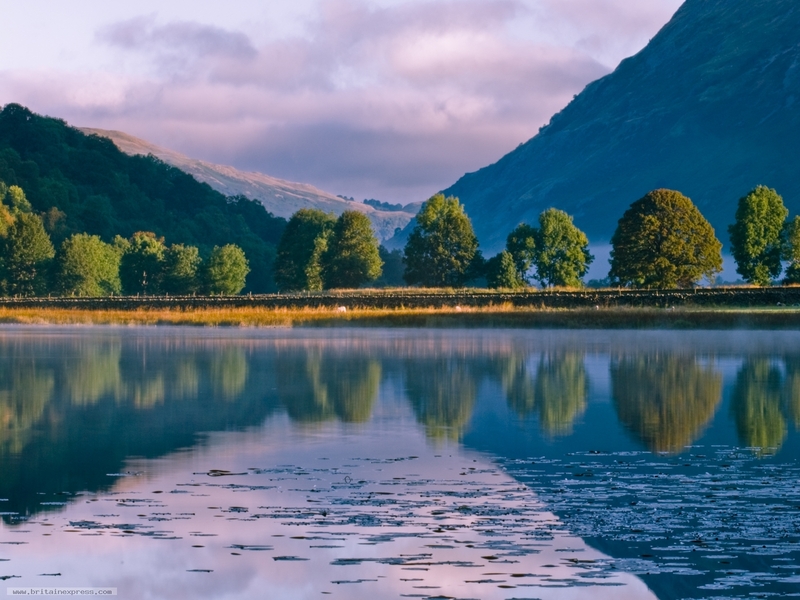 Looking along the quiet waters of Brothers Water towards Hartsop. There is a row of trees at the northern end of the lake, and they make a lovely reflection in the water. Taken in the early morning, when the rising sun casts a lovely light on the trees.